Serving Orphans Worldwide | Announcing the SOW Ambassador Program! 07 Oct Announcing the SOW Ambassador Program! Following the fall of the economy in 2008, support for missions and social justice efforts worldwide took a big hit. Unfortunately, some of the hardest places hit were orphanages. Across the world and especially in third world countries, orphanages were faced with the sobering question of whether or not they could continue to support the children in their care. Sadly, many orphanages had to shut their doors and the ones who stood to lose the most were the children. Orphaned children are the most vulnerable children in the world. For most of them, a permanent family is not an immediate option. Alone and without care, they are exposed to the worst our world has to offer. It was this crisis that lead to the founding of Serving Orphans Worldwide in 2009. For 5 years Serving Orphans Worldwide has devoted time and resources to rescuing orphanages around the world from destitution or closure. But we are not finished yet! Our dream is to see every orphanagewe support one day function without our help. We are working so hard to not only rescue orphanages from collapse, but also to train them and help them achieve independence. Today, 44 orphanages exist in 25 third world countries thanks to the contributions of just a few. We know the impact our support makes. We have seen God restore and transform our partner orphanages. More importantly, we have seen God heal and redeem the lives of countless children. At the beginning of this year our team had a heart to heart. We prayed. We thanked God for blessing this ministry. And we decided that the things that God was doing with Serving Orphans Worldwide was too valuable not to share with anyone and everyone who would listen. It was at that meeting that we began dreaming up the SOW Ambassador Program. The Ambassador Program is designed to recruit people across the U.S who are passionate about serving orphans, who want to advocate for the orphan’s cause and who see the value in our vision and mission. This is where we hope you’ll join the SOW story and make it your own. We know that the work is not finished, but we can’t bring it to completion without your help. With the help of our Ambassadors and committed supporters, we can better equip our orphanages to care for kids well and help them acheive self-sustainability. If you are interested in becoming an Ambassador, go to www.soworldwide.org/ambassador to get started. With your help, we can spread SOW’s vision to rescue, train, and sustain orphanages to homes, churches, and schools all over the world! We also ask that you’ll join us in prayer for our Ambassadors today. Pray that their words would touch the hearts of their communities, that God would prepare them even now for this worthy work, and that they’ll be blessed to see fruitfulness in their efforts. The Ambassador Program has unbelievable potential to grow our ministry. We can’t wait to see the fruits of this work! 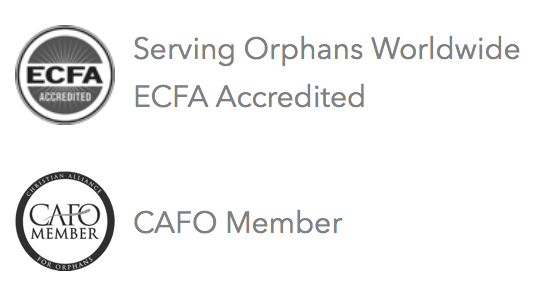 Friends, this is only the beginning for Serving Orphans Worldwide. We are only at the start of what’s truly possible for our ministry and the children we serve. Will you join us today?